Rejuvenate the interior of your C5 Corvette with these OEM quality Fitment genuine leather seat covers. 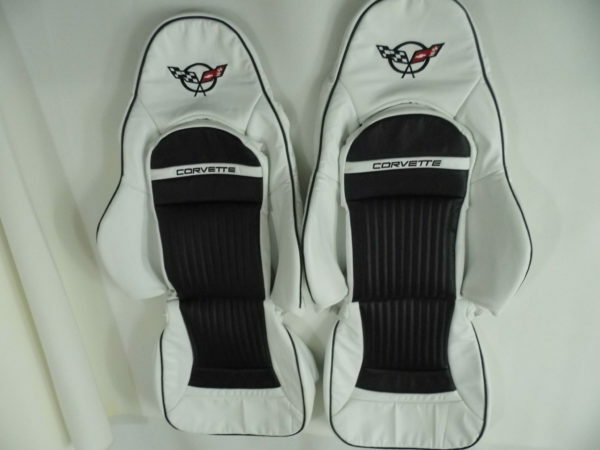 We only use 100% finest quality automotive grade genuine leather in our products. 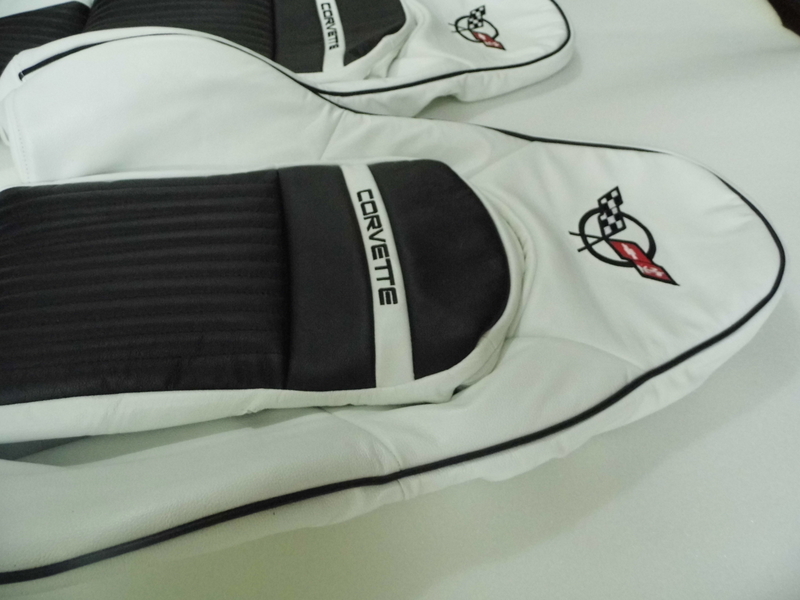 Not a single panel of our genuine leather seat skins has been made with vinyl or synthetic material. 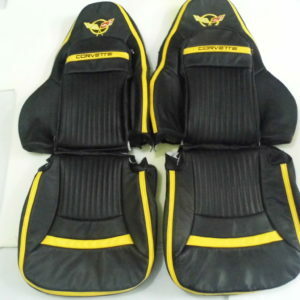 These are all around front, back sides 100% genuine leather seat skins guaranteed!! 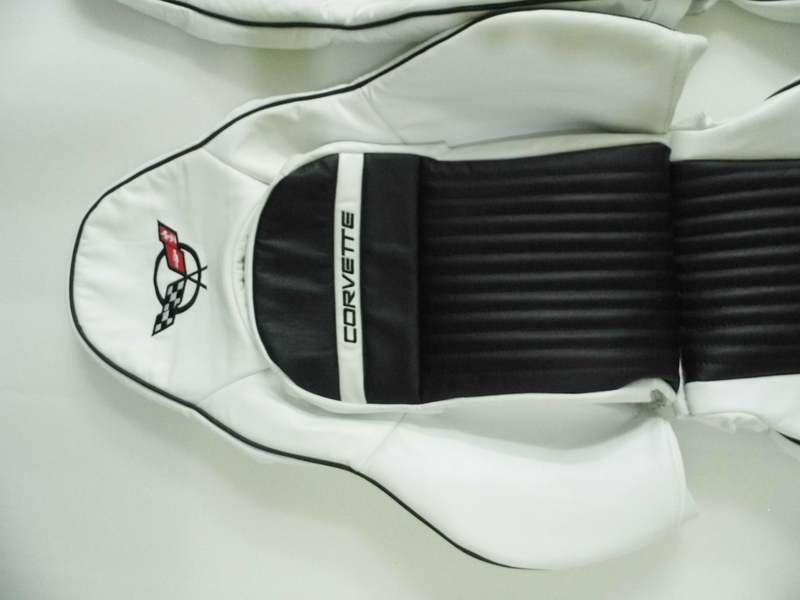 The guage of the leather that has been used in manufacturing these seat skins is approximately 1.4mm. Each panel has either 1/2 or 1/4 foam pading to achieve tight and comfort fit. The item include 6pcs altogether. Both seat skins comes with map pockets. 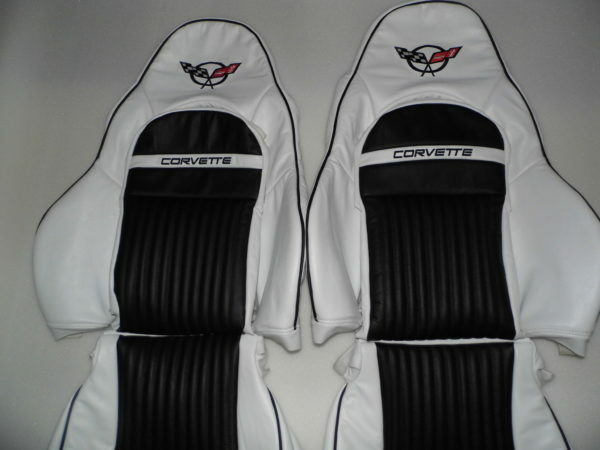 The listing is for white genuine leather covers with black inserts, black corvette lettering, black piping and C5 flags on the head rests. 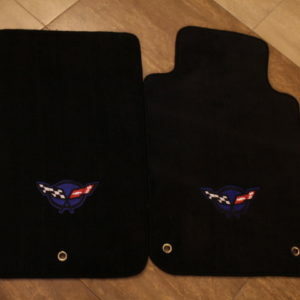 Middle portion of the back and bottom covers can be made with perforated inserts by checking the $50 option below. 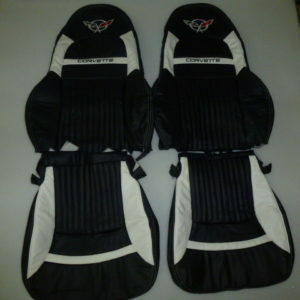 SINCE THESE COVERS CAN FIT ON BOTH SPORT AND STANDARD STYLE SEATS, IT IS VERY IMPORTANT THAT YOU SELECT THE CORRECT STYLE OF SEATS WHEN YOU PLACE THE ORDER! !